beans4fashion: Cheetah / Leopard - Do or Don't? Cheetah / Leopard - Do or Don't? I walked into my brothers apartment and the face on his room mate when he saw my cheetah shirt.. He said something along the lines of " oh were you playing bingo". I admit, when I think of cheetah I think of older ladies playing bingo or penny slots. But I have fallen in LOVE with the print and kind of become obssessed. 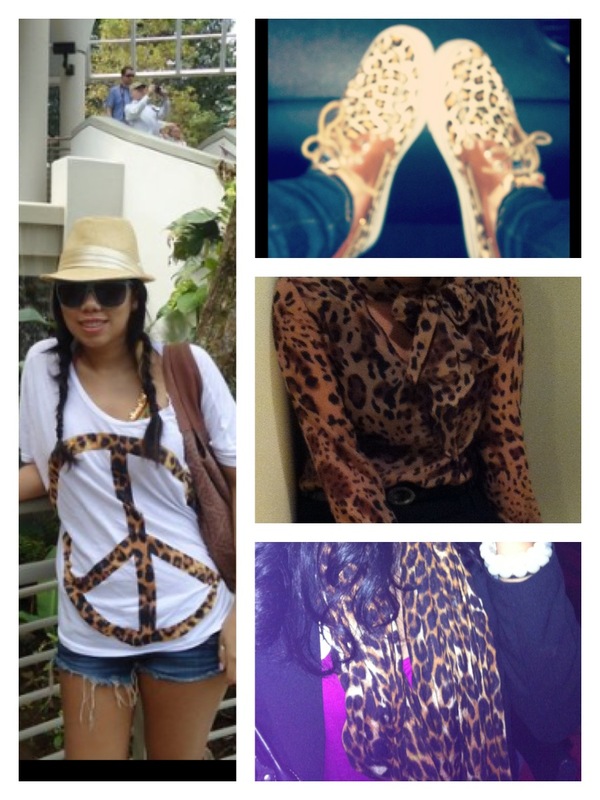 I love to add a hint of cheetah to my daily wardrobe. Im not saying im wearing it head to toe just adding accent pieces. I love the pop that it adds to any outfit. Here are some things from my cheettah collection. Even my sister added it to her wardrobe. Peace Shirt- Urban Outfitters, Shoes- Sperry Top Sliders, Blouse- Casual Freedom from Nordstrom and my sisters scarf is Express.